Custodians worldwide hold a range of assets Including Equities, Government Bonds, Corporate Bonds, Mutual Funds, Debt Instruments, Warrants, Derivatives on behalf of their customers. Institutions, money managers, brokers and dealers are amongst those that rely on custodians for efficient, secure and compliant handling of their securities portfolios. The demand for custodian services has driven and triggered a need for sophisticated real time synchronized technology solution for the life cycle of the securities industry. 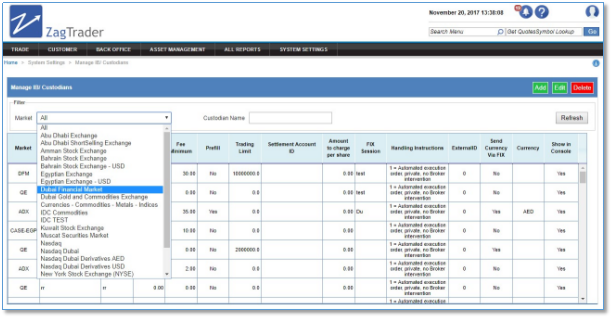 ZagTrader Custody Management System (ZTCMS) is an integrated portfolio accounting investment management system covering (order management), trade execution, clearing, settlement and safekeeping functions. ZagTrader has rich domain expertise, technology and know-how and experience to execute large custody projects for leading financial institutions across leading geographies. ZagTrader Custody Management System (ZTMS) provides a one stop solution to manage entire custodial business. The next-generation global and regional securities servicing product that supports Custody & Corporate Action related business in every environment. The system provides an automated solution for securities settlement, custody management, and regional & global corporate actions. 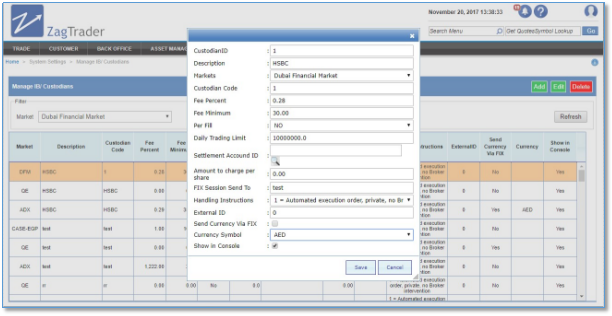 Real-time Transaction processing with complete audit trail. ZTCMS creates a true environment for a smooth processing from trade to settlement. ZTCMS solution enables banks and financial institutions to benefit from a simple, affordable, reliable and effective technology platform. Higher Efficiency: Enabling straight through processing of trade and settlement in real time and seamless automation of corporate actions processing. 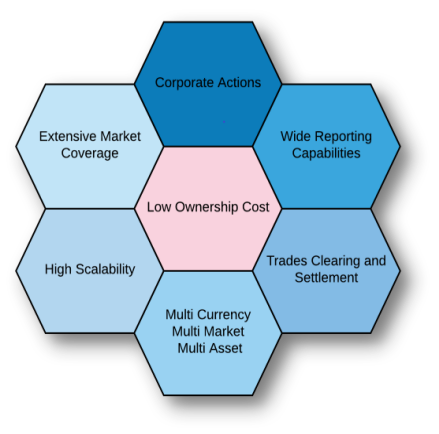 Extensive Market Coverage: Increase the coverage by processing a wide range of financial instruments. Improve Operation: Seamless integration with comprehensive functionality and flexibility. Better Risk Management: Rule driven solution for a flexible and easy to use platform. Complete enterprise wide view of information with a comprehensive audit trail features. Easily Integrated: Well defined, easy-to-use published APIs for an easy and secure integration. Low ownership cost: Best in business features and a top notch platform easy to use and flexible for any integration with external systems. Robust and scalable to make your business grow. Built with extensive security features, tighter monitoring, and control. Open architecture allowing it to integrate with other systems.